The demand for high quality math and science teachers continues to go unmet; it is currently estimated that about 3,000 new math and science teachers are needed in California alone every year. We empower STEM professionals to transform public education by obtaining a teacher certification to teach in high needs schools. We are a nonprofit that trains and supports STEM professionals, military veterans, and retirees in California as they explore a career transition to teaching. Serving high needs schools since 2007, we address the pervasive and complex issues of STEM literacy, workforce development, and effective teacher preparation. STEM professionals with a California single subject or career and technical education teaching credential are needed to serve in under-resourced communities. From July – November, EnCorps will accept Fellows for our 2019A cohort to go through orientation in December and begin guest teaching (volunteering 2-5 hours per week) from January-May 2019. Fellows will work with an experienced host teacher and be placed at a local school. This can typically be done alongside working in industry. Fellows will then choose to earn a Single Subject teaching credential (math, physics, chemistry, biology, earth science) or a Career and Technical Education credential (engineering, IT, biomedical sciences, etc). Fellows will begin online coursework with our exclusive teaching credential partner Alliant International University in May 2019 and may be eligible to teach as an intern teacher by fall 2019. As an intern teacher, Fellows will earn a salary and benefits from the school with which they work. EnCorps Fellows will receive preferred tuition pricing of a 25% savings. Fellows may begin online coursework with Orange County Department of Education at four entry points throughout the year. Coursework lasts 3-4 months. In the second year, Fellows will be teaching full time. As a single subject credentialed teacher you will complete your coursework online with Alliant in the summer before beginning your second year teaching. As a CTE credentialed teacher, you will begin your second year teaching. Fellows will be accepted to EnCorps either in the Fall (A Cohort) or the Spring (B Cohort). Regardless of when Fellows start with EnCorps, almost every credential programs’ applications open in the fall and are due between January-March; acceptances are issued in late spring, and credential programs begin in the summer. 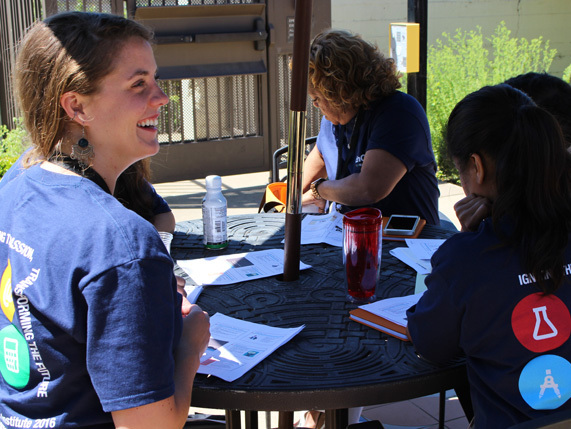 Fellows in Northern California will have a choice as to which credential program they wish to enroll in, and will benefit from strong connections and partnerships EnCorps has with many of the prominent programs in the region. Cohort A Fellows will be accepted to EnCorps between August and November, will start their pre-credential volunteering in the middle of the school year (January), and will choose between an accelerated pathway to their credentialing experience or taking another school year to begin credentialing. The Accelerated Pathway will enable Fellows to begin teaching in August of the same year they begin pre-Credential volunteering, and will involve either earning a CTE credential simultaneous to their volunteer experience or accepting an intern position in the spring or summer. Fellows who opt for the accelerated start will need to enter EnCorps already prepared to make a career change and ready to take significant immediate action. The Standard Pathway will enable Fellows to volunteer for one full academic semester before they need to begin the process of applying to credential programs, and will enable them to volunteer for an additional 1-2 academic semesters in order to practice, learn, and build essential skills. Fellows will simultaneously apply for Traditional or Residency single subject credential programs, and begin their credentialing experience the academic year after they volunteer. Fellows can also opt to earn a CTE credential while they are volunteering and either start as a CTE teacher instead of entering a single subject credential program, or hold both CTE and Single Subject credentials. Cohort B Fellows will be accepted to EnCorps between February and May, will start their pre-credential volunteering at the beginning of the next school year in August or September, and will volunteer with EnCorps for the duration of the academic year. Cohort B Fellows will be able to begin preparing to apply for a credential program over the summer they are accepted, and submit applications for traditional or residency credential programs at the end of their first semester of volunteering. In this way, Cohort B Fellows can start their single subject credential programs as their volunteering ends. Cohort B Fellows may also elect to earn a CTE credential simultaneous to their volunteer experience, which enable them either to start teaching CTE courses the school year after they complete volunteering, or hold both CTE and Single Subject credentials. Fellows will be accepted to EnCorps either in the Fall (A Cohort) or the Spring (B Cohort). Regardless of when Fellows start with EnCorps, almost all credential programs open their applications in the fall. Many of the credential programs in the greater Sacramento region have application deadlines in November or December. Others have application deadlines in March or April or accept applications throughout the year. Fellows in the greater Sacramento Region have many different types of credential programs to consider (i.e., traditional, residency, or internship) and will benefit from strong connections and partnerships (as well as discounted tuition rates) that EnCorps has established with many of the prominent programs in the region. 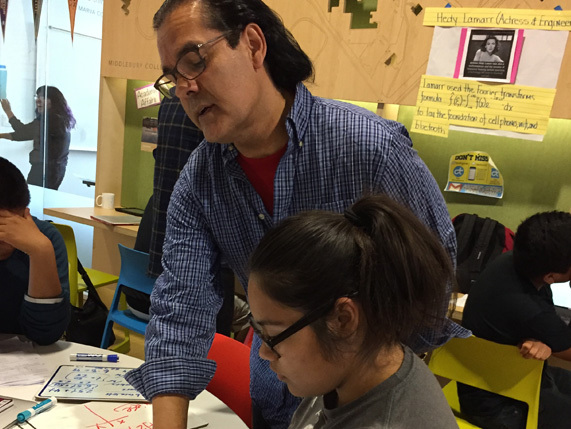 Cohort A Fellows will be accepted to EnCorps between August and November. These Fellows will start their pre-credential volunteering in the middle of the school year (January). They will will choose between an accelerated pathway to their credentialing experience or taking another school year to begin credentialing. The Accelerated Pathway will enable Fellows to begin paid teaching in August of the same year they begin pre-credential volunteering, and will involve either earning a Career & Technical Education (CTE) credential simultaneous to their volunteer experience or beginning a Single Subject credential in the spring or summer and accepting a teacher internship position for the fall. 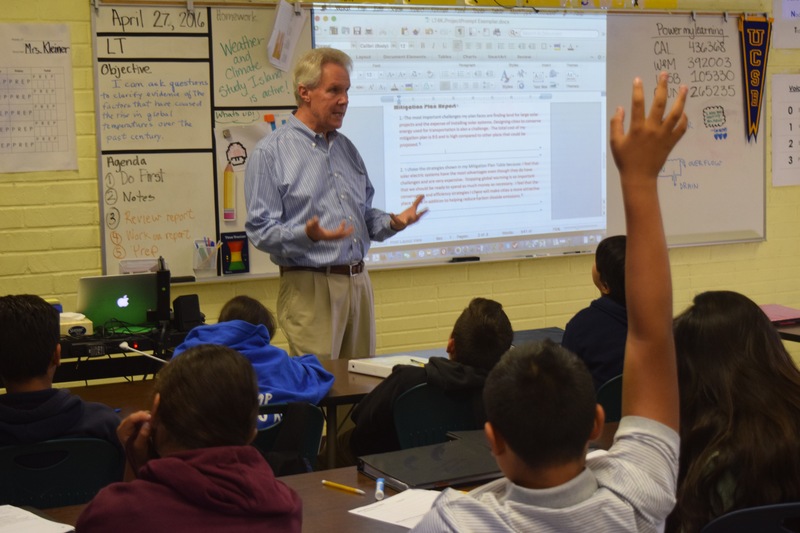 Fellows who opt for the accelerated pathway will need to enter EnCorps already prepared to make a career change and ready to take significant immediate action to be able to meet all of the eligibility requirements of a teacher credential program. The Standard Pathway will enable Fellows to volunteer for one full academic semester before they need to begin the process of applying to credential program. This pathway will enable them to volunteer for an additional 1-2 academic semesters in order to practice, learn, and build essential skills.Fellows will simultaneously apply for a credential program (i.e., traditional, residency, or internship), and begin their credentialing experience the academic year after they volunteer. Fellows can also opt to earn a Career & Technical Education (CTE) credential while they are volunteering and either start as a CTE teacher instead of entering a Single Subject credential program, or hold both CTE and Single Subject credentials. 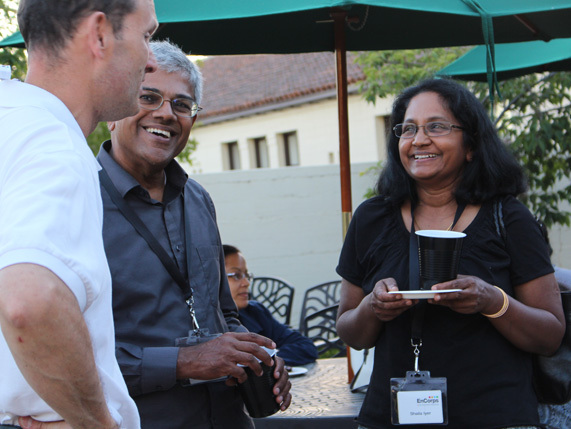 Cohort B Fellows will be accepted to EnCorps between February and May. They will start their pre-credential volunteering at the beginning of the next school year in August or September, and will volunteer with EnCorps for the duration of the academic year. Cohort B Fellows will be able to begin preparing to apply for a Single Subject credential program over the summer they are accepted, and submit applications for traditional, residency, or internship credential programs at the end of their first semester of volunteering. In this way, Cohort B Fellows can start their single subject credential programs as their volunteering ends. Cohort B Fellows may also elect to earn a Career & Technical Education (CTE) credential simultaneous to their volunteer experience, which enable them either to start teaching CTE courses the school year after they complete volunteering, or hold both CTE and Single Subject credentials. Rosa was accepted into the EnCorps Fellowship in June 2015. 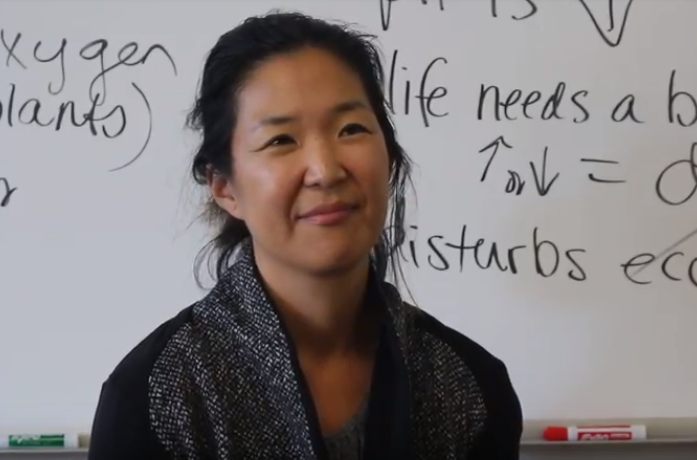 She spent one semester volunteering in a math classroom with the Incubator School, working with a mentor teacher and developing her teaching practice. In the winter of 2016 she began a career and technical education credential in engineering and was hired as a CTE engineering teacher with Southern California Regional Occupational Center. Keith was accepted into the EnCorps Fellowship in spring 2015. He spent a full year tutoring and guest teaching at Bright Star Stella Middle Charter Academy, where he worked with a mentor teacher. In the summer of 2016 he began the UCLA Impact Residency program where he spent another year in a classroom with a mentor teacher and took coursework toward his single subject credential and master's in education. In fall 2017 Keith began teaching chemistry and physics full time at Performing Arts Community School. LaTeira was accepted into the EnCorps Fellowship in fall 2014. 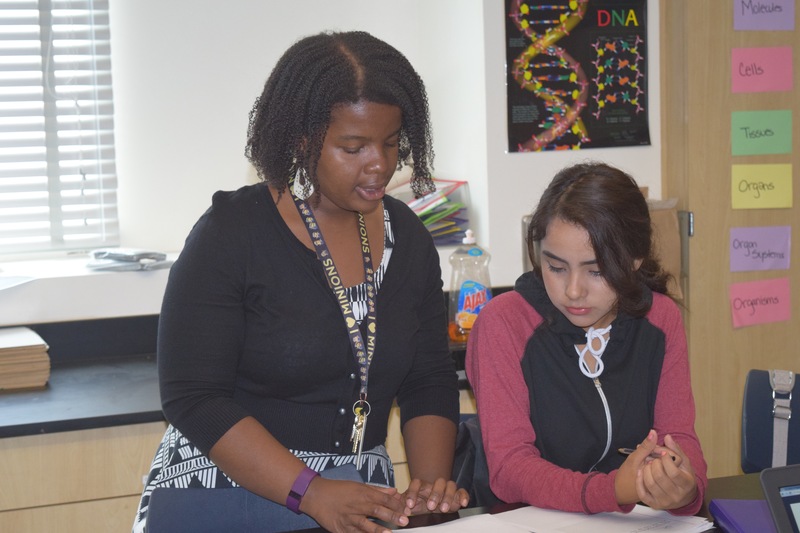 She served as a guest teacher at High Tech High North County, working with a mentor teacher. In the spring 2015 she began a single subject intern credential program with Cal State Dominguez Hills, where she trained on Saturdays and throughout the summer. She began teaching biology and general science at Dymally High School in the fall of 2015. Do your part to address inequalities in education. Don’t let zip code determine destiny. EnCorps Fellows come from a diverse range of STEM industries, but share a core commitment to public service and teaching in high needs schools. The EnCorps team would love to hear from you. Contact us now and learn how we can help you become a teacher in California.